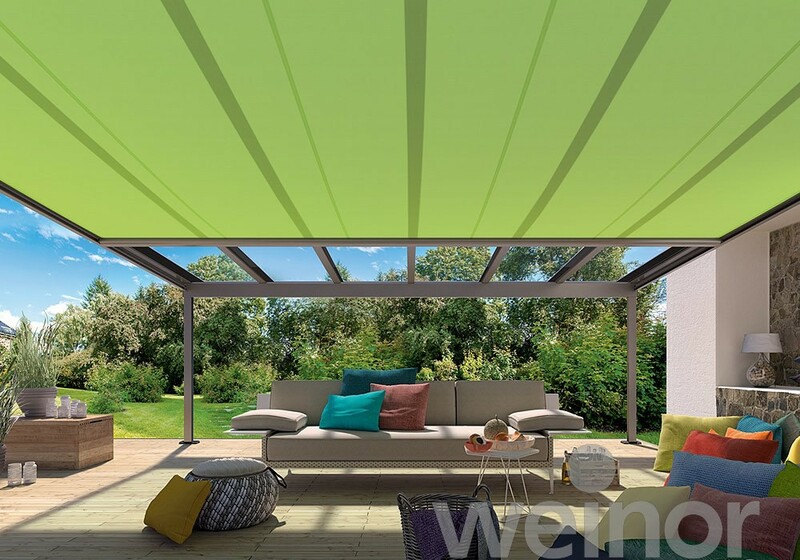 Weinor offers several solutions for operating awnings/shades, patio lighting and patio heating. For everybody wanting more comfort than the low-priced crank or switch operation our BiConnect system is the perfect solution. Our user-friendly remotes wit LED feedback are specially designed for weinor products. For more complex layouts like patio shades we recommend using the remote with display or the app for iPhone/iPad. When the remote sends a command the receiver confirms when it is received and carried out. This feedback is displayed on the remote. When more than one receiver is involved the receivers communicate with each other to guarantee the signal is processed (routing). Up to 15 different devices or device groups can be controlled with a single hand transmitter.The feedback function within the display tells you whether a command was executed or not. With or without power supply: Depending on the requirements the Sensors are powered by a solar cell or via 230V power supply. The sun-mode of the BiConnect sensor is activated or deactivated using the remote control. Please note that these figures may vary depending on the product. with LED feedback function are just perfect.The advanced BiEasy 15M with display is ideal forthe operation of multiple devices – such as several different awnings or retractable roof products. Itis also perfect for operating the shading, lighting and heating for a weinor Glasoase®. In addition, you can easily control weinor products via an app on your iPhone or iPad.